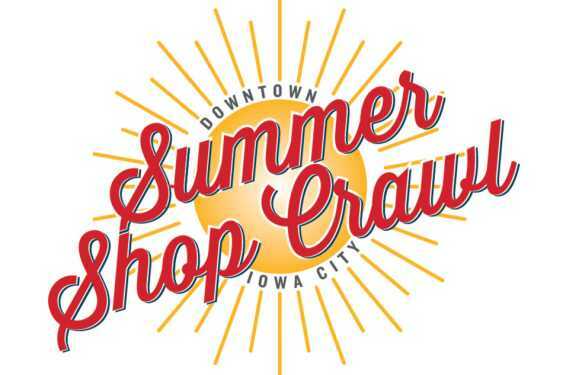 The Iowa City Downtown District invites you to join an evening of fun summer drinks, appetizers, and great shopping at our unique downtown businesses. The Downtown Summer Shop Crawl will be the perfect opportunity to enjoy the beautiful summer weather and exclusive shopping deals for ticket holders. A ticket purchase will include a customized glass, a small gift, an ICDD tote bag, and access to the sales and drinks (both alcoholic and non-alcoholic will be available) at each participating shop.Ticket holders will get the chance to be entered into our gift card basket raffle worth over $1,000 in gift cards from participating stores. This event is for all ages. If you are under 21, you will still receive a customized glass and there will be non-alcoholic beverages for you to enjoy, such as lemonade and soda. Tickets are $15 and are limited to only 250 tickets. The past Shop Crawls have continued to sell out, so make sure to get yours while supplies last! Online ticket sales will end at noon on May 17th. Please note this is a rain or shine event. There will be no ticket refunds.